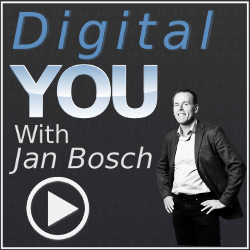 Welcome to the “digital you” podcast – the place where we explore the implications of living in a digital world. Often referred to as the fourth industrial revolution, digitalization is the major trend in industry, business and society. It affects everyone, including you, both in our private lives and at work. In this podcast, I interview people that are digital leaders and are living the transformation to see what we can learn from them in terms of mindset, approaches, best practices and traps to avoid. The goal is to make you better at what you do and helping you to be a digital citizen and professional in a rapidly changing world. In this episode I meet with Björn Ekelund from Ericsson research where he leads hardware and devices research as well as research into electromagnetic fields. Welcome to the Digital You!